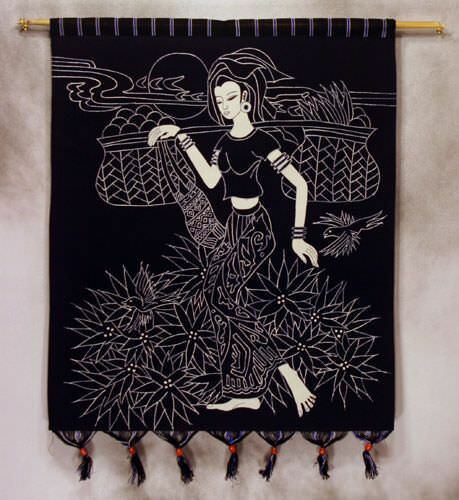 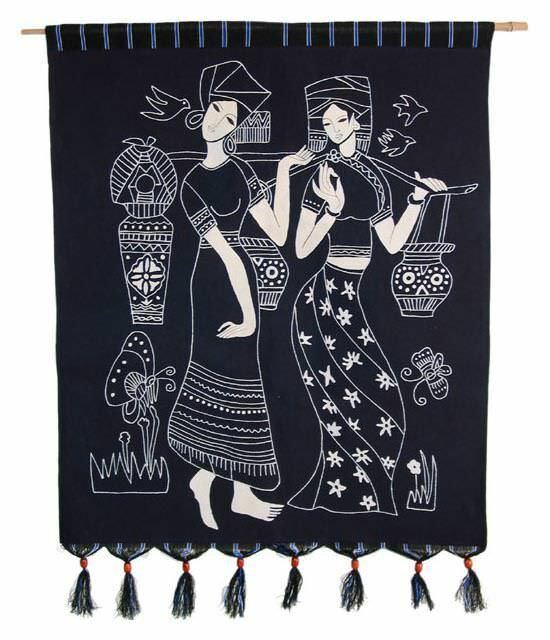 This handmade batik features a fun couple. 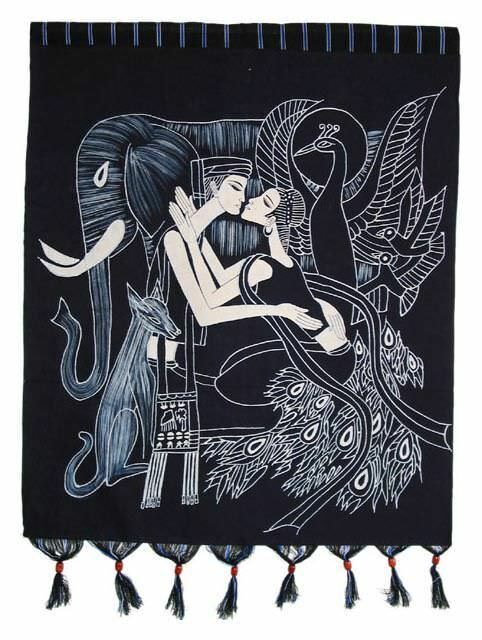 They kiss surrounded by many animals including and elephant, a peacock, and some kind of dog-like creature. 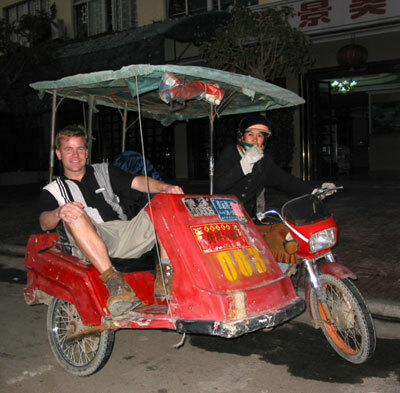 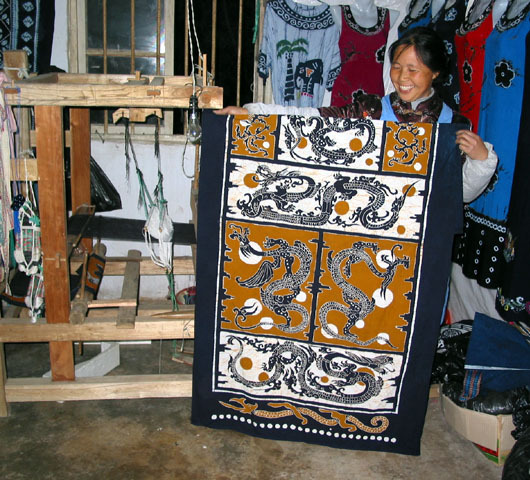 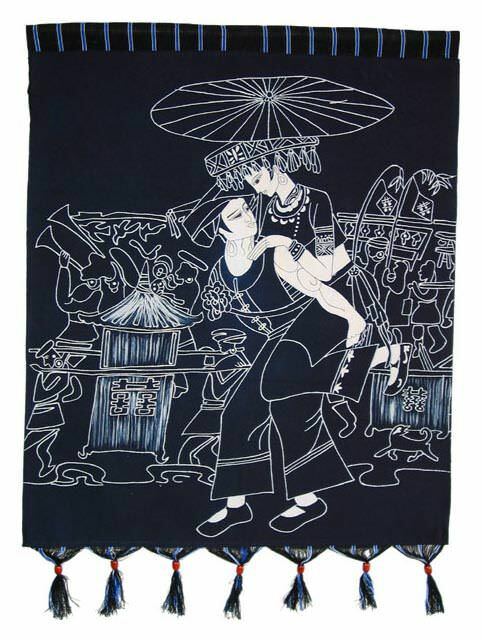 The couple in this batik are from one of China's 55 minority ethnicities, dressed in traditional clothing of her tribe.